Simon Francis Pauxtis was born in Pittston, Pennsylvania, on July 20, 1885. After attending Lebanon Valley College, he entered the University of Pennsylvania Law school, graduating in 1910. 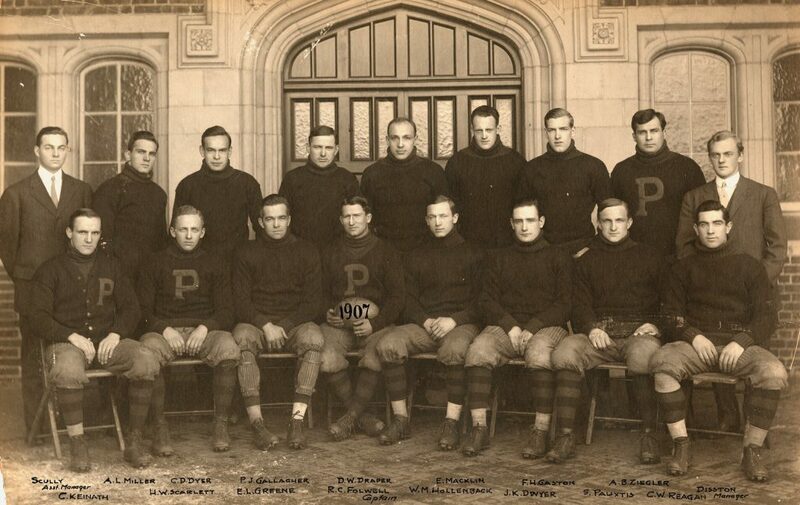 When he played on Penn’s championship 1907 football team, he was named an all-American end. 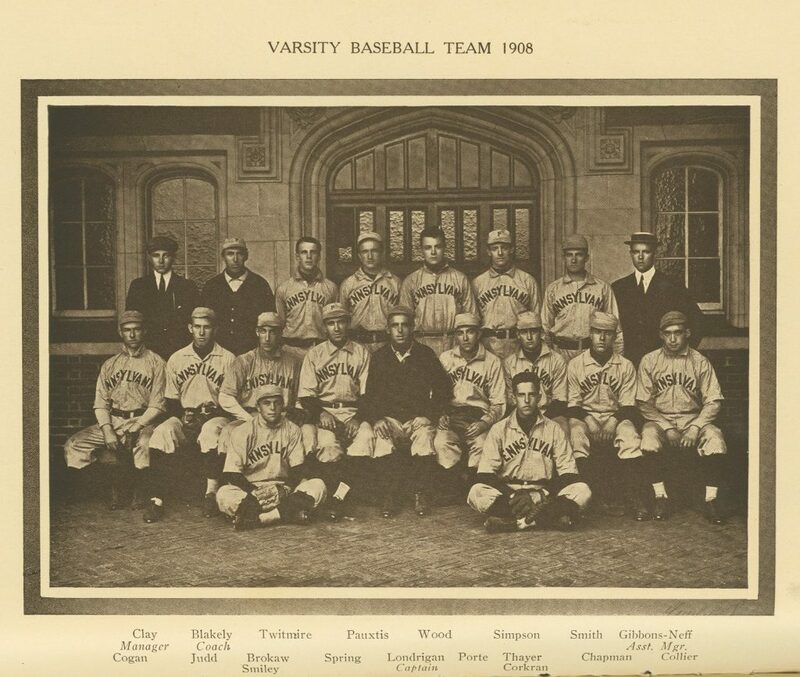 In the spring of 1908 he was a catcher on Penn’s varsity baseball team. A member of Delta Chi fraternity and the Kent Law Club, he also served as vice president of the Houston Club. On September 18, 1909, while still a law student, Pauxtix made his major league baseball debut with the Cincinnati Reds. He played less than a season in the majors before going on to a long career as a college coach, beginning as both football and baseball coach at Dickinson College in 1911 and 1912. His next coaching assignment was as end coach at Penn from 1913 to 1915; his Penn career also included stints as assistant football coach from 1930 to 1938, and as physical education instructor from 1931 to 1934. He also coached football at Pennsylvania Military College, 1916 to 1929 and 1939 to 1946. Pauxtis was also a practicing attorney in Wilkes-Barre and Philadelphia for fifty years. He died in Philadelphia on March 13, 1961.